This may actually qualify as Rarity-8, meaning less than four examples are known. 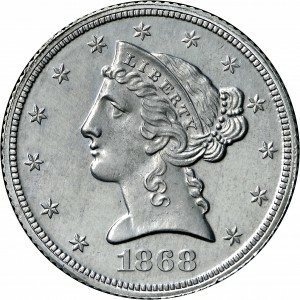 Only three such examples were listed by Andrew W. Pollock, III, including this coin, an example from the Garrett Collection, and a third sold by Bowers and Merena in 1984. 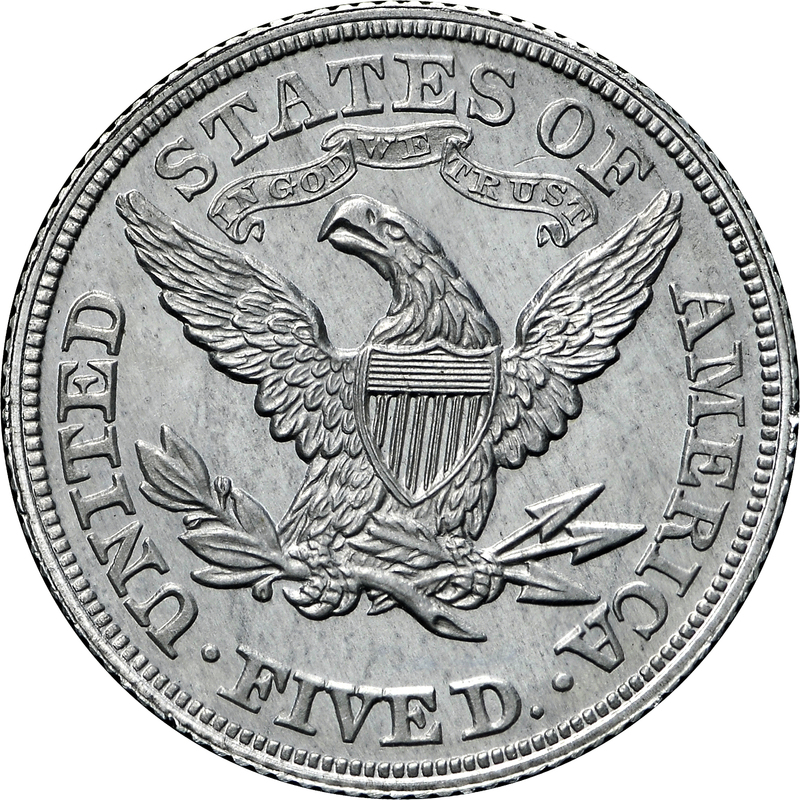 These patterns are from the regular coinage dies for circulating half eagles as introduced in 1866. 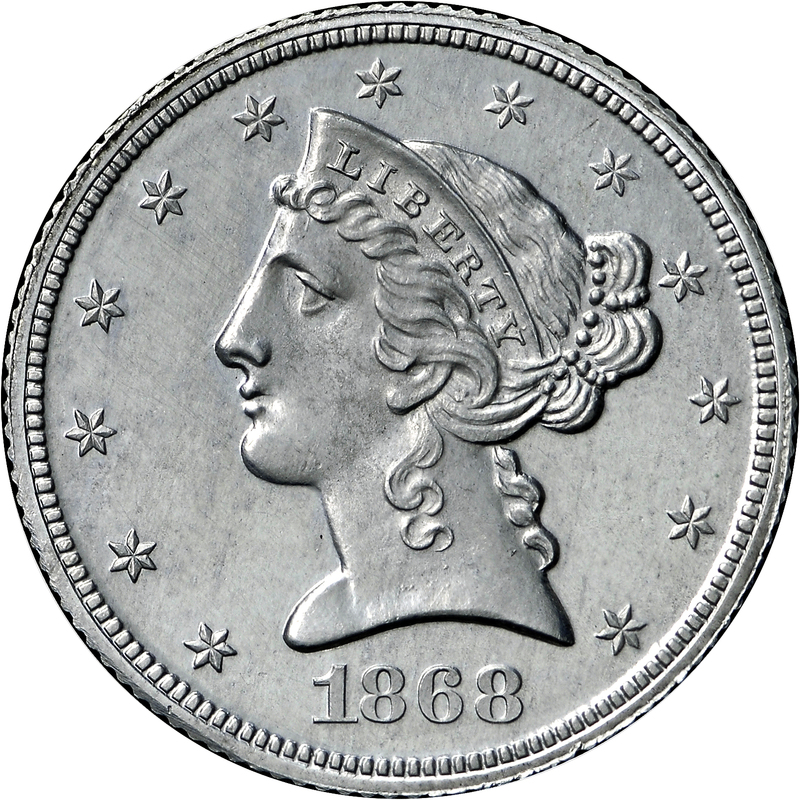 Minor die rust on Liberty’s neck clearly identifies this as from the same obverse die used to strike Proof examples in gold. 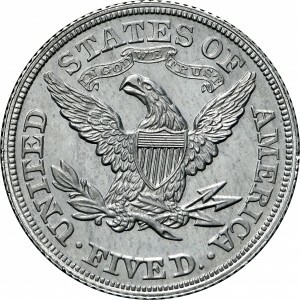 There is little doubt that the reverse is also the same Proof die. Sotheby's sale of the Palace Collections of Egypt (King Farouk), February-March, 1954; RARCOA's sale of the Harry X Boosel Collection, April 1972, Lot 1067.